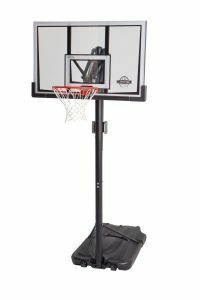 The Lifetime 90061 is a portable basketball hoop system with a 52 inch backboard. The back board is made of High Density Polyethylene which is claimed to be shatter proof. The height of the goal can be adjusted from 7.5 feet to 10 feet. The base can carry up to 35 gallons of water or sand, depending on your preference. Assembly of this hoop is on the difficult side. At least 2 people are needed to finish the installation within a reasonable amount of time. The instructions should be followed closely as there are some parts that will be permanently attached to each other, and some of the directions can be quite confusing. Check the Lifetime 90061’s prices on Amazon. 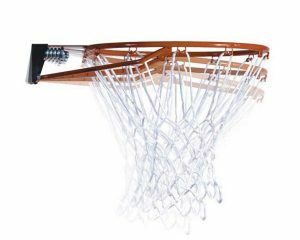 The height of the hoop can be adjusted from 7.5 feet up to 10 feet with 6 inch increments in between. 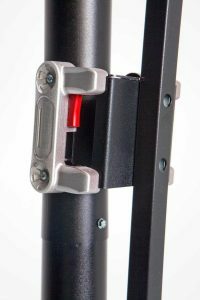 Height adjustment is easy with the Front Adjust by Lifetime. There are two handles in the middle part and pressing the handles allows the height of the rim to be adjusted. Moving this thing can be quite a chore as it is heavy and huge. There are two wheels at the base for movability but once it is filled with sand or water it’s very difficult to move around. If you can, remove the contents of the base first and you most likely will need the assistance of another person. Build quality is quite nice. 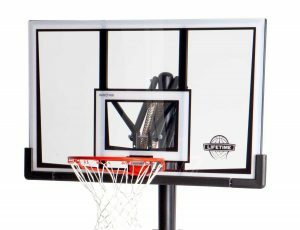 The backboard is made of polyethylene, which is claimed to be shatter proof. It is not tempered glass, and the board may sometimes wobble after a hard shot, but it does the job and the shaking is minimal compared to tempered glass. The poles are done with a powder coated finish which makes it rust resistant. 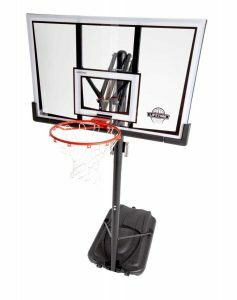 With its price, the Lifetime 90061 Portable Hoop System is definitely worth the money. With its excellent build quality and the company’s 5 year warranty, it’s hard to resist this deal. See the latest prices on Amazon here.